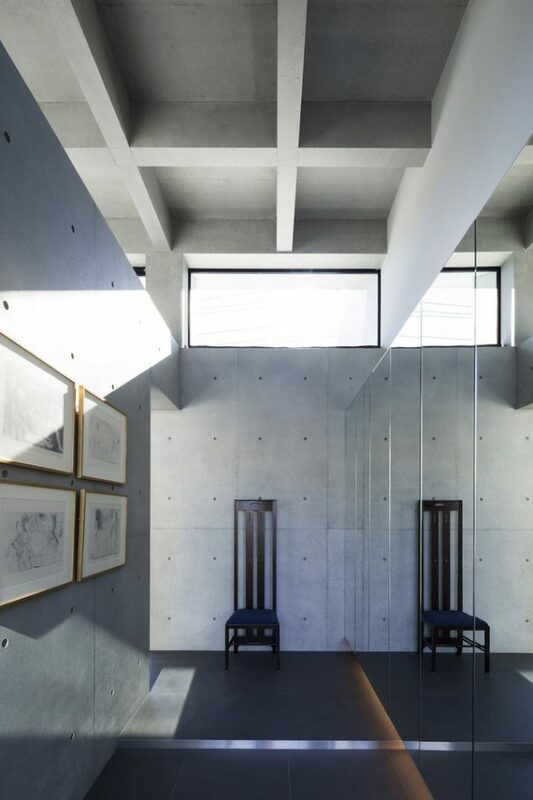 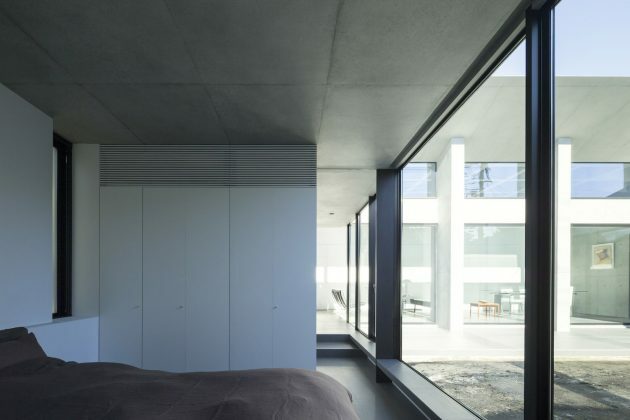 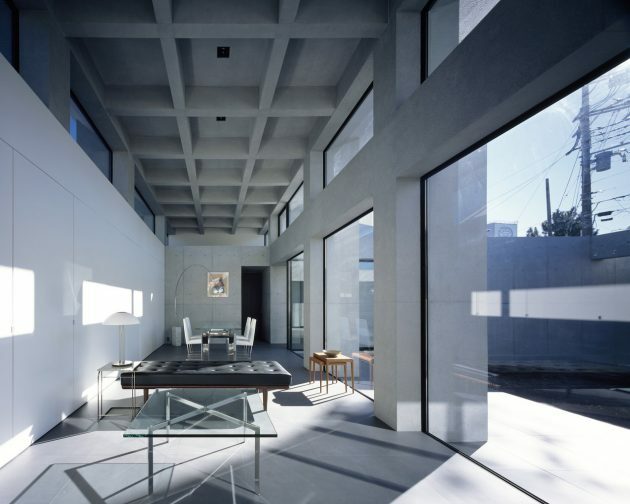 APOLLO Architects & Associates, a Japanese studio, were approached by their next client with a request to integrate his meticulous collection of artwork and furniture into a contemporary home. 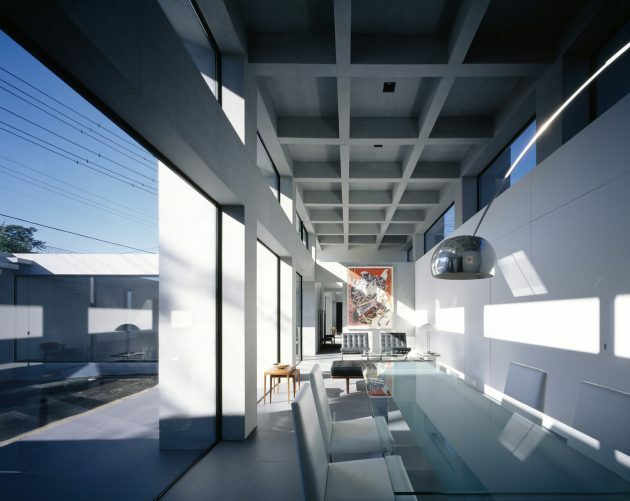 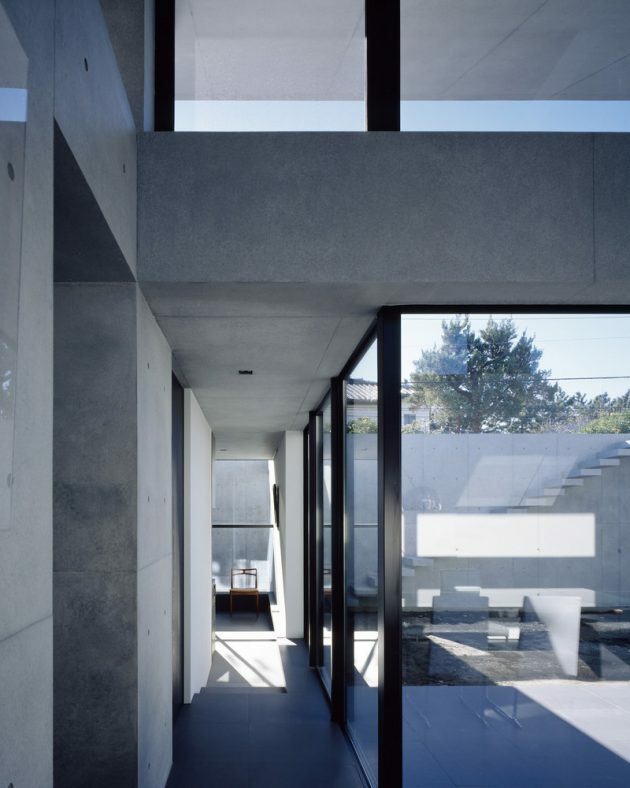 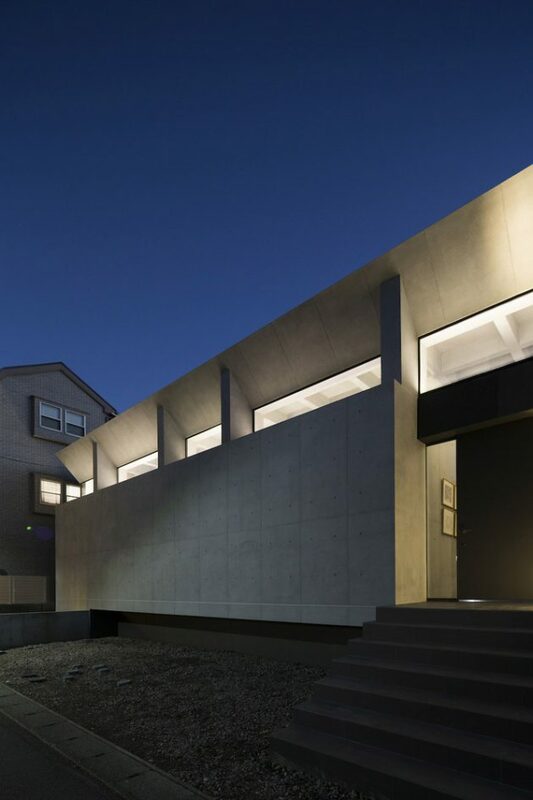 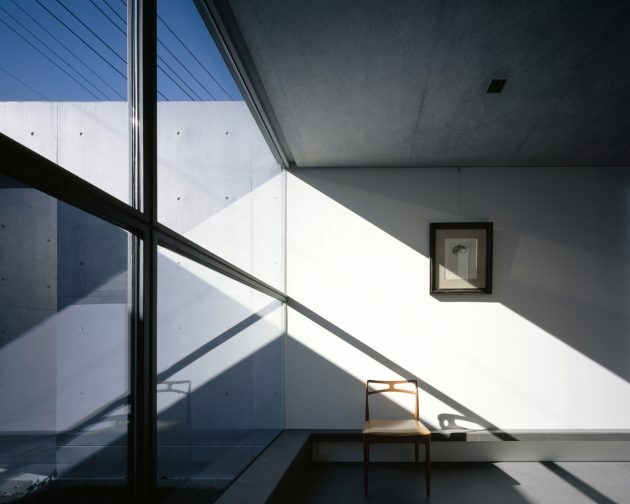 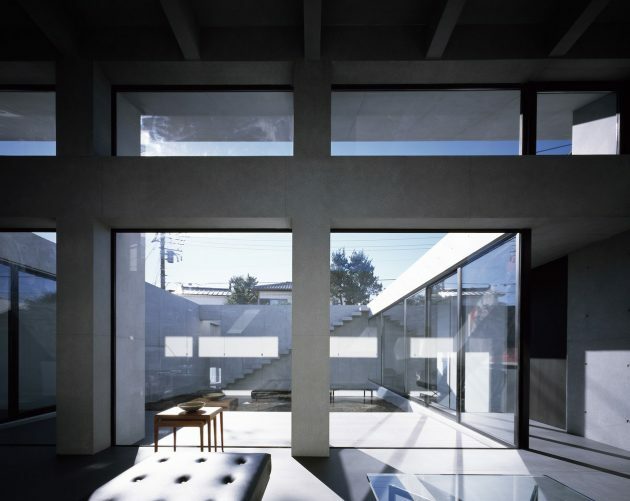 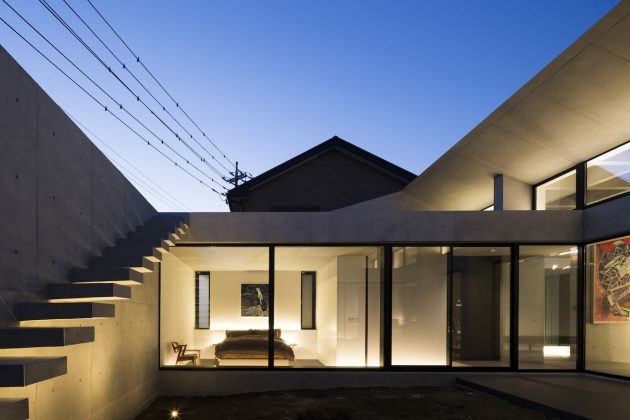 This was the beginning of the Grid House which is located in a quiet neighborhood in Tokyo Japan. 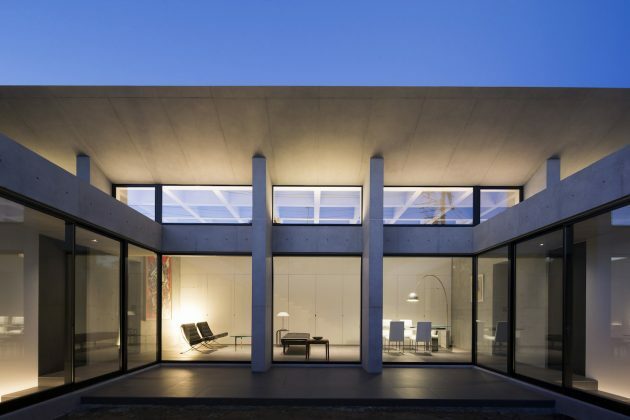 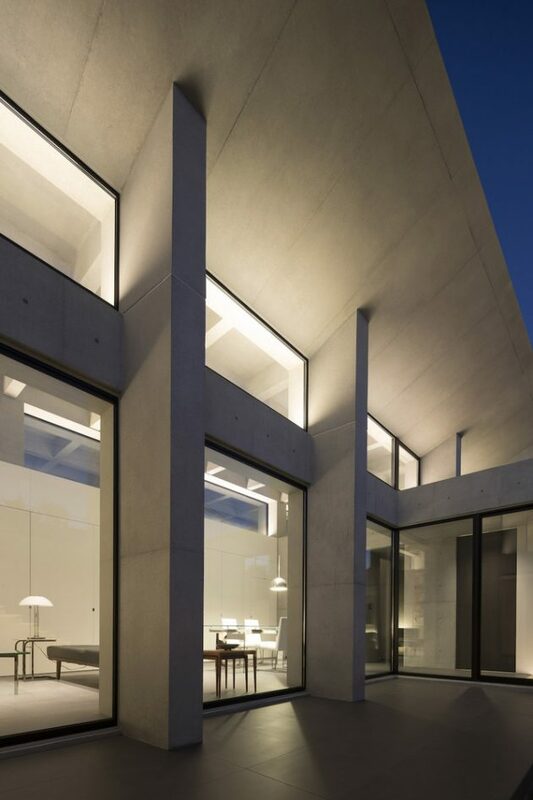 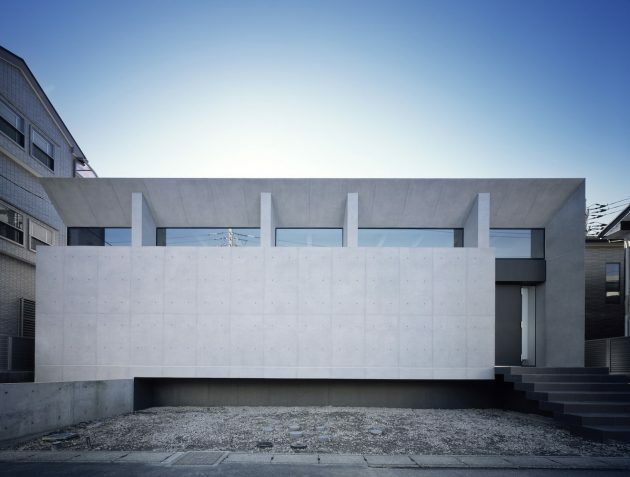 Its design is held together by a reinforced concrete structure with a low-profile. 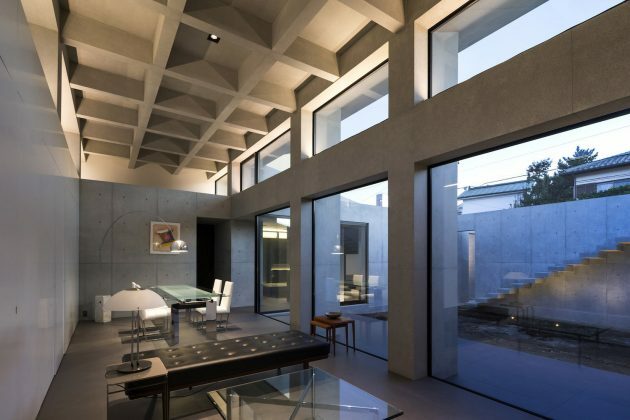 Similar to the exterior design, its interior is in a monochromatic color scheme that creates a neutral background which highlights the displayed artwork. 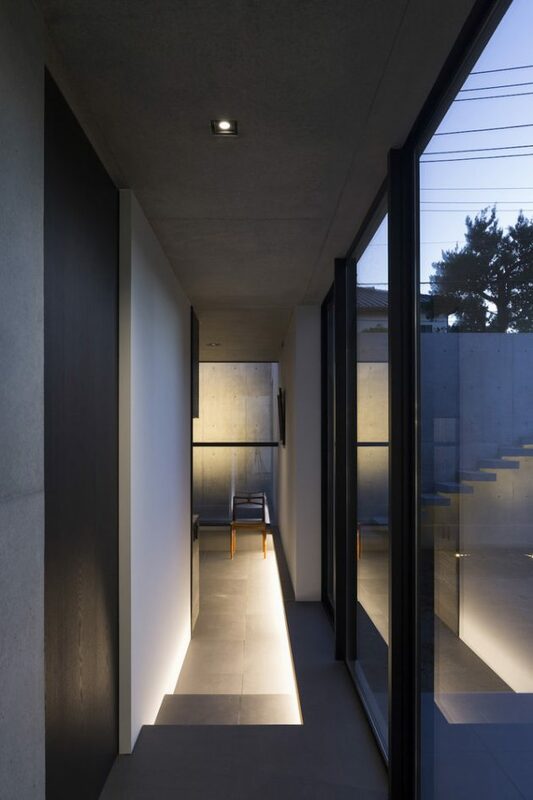 The name of the house comes from the grid like concrete ceiling that sits above the family room which references the architecture in temples and traditional tea houses.